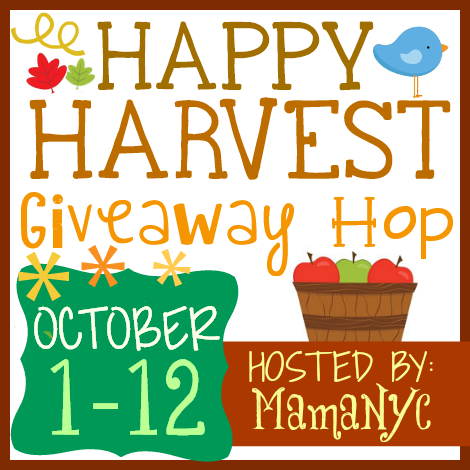 Welcome to the Happy Harvest Giveaway Hop event hosted by MamaNYC. All participating bloggers have come up with fun prizes of all kinds, valued at a minimum of $25! The event runs from October 1-12, so don't wait! After you've entered MY giveaway, hop on over and enter to win more. Good luck! When I found out I was having a little girl, I could not wait to start shopping for her. The pretty dresses, the fun hair bows and of course, the SHOES!! So many cute baby girl shoes! I couldn't wait to get them onto my daughter's itty bitty feet. There was just one little problem... her feet and shoes did not mix. You see, her feet were small in length but VERY thick in height. We tried many different styles and just could not find any that would feet onto her chubby feet without being much too long. No big deal, babies don't NEED shoes right? We'd hoped they'd thin down by the time she began walking- which happened at 10 months. Still super chubby, still no shoes. But it was summertime and the only time she was walking on her own was in our own yard so we just opted to let her go barefoot. With her becoming more and more of a walker and the cooler weather making its arrival, we knew that we had to find SOMETHING. Anything. So, I was thrilled to be given the chance to receive a pair of Pediped shoes to try...though admittedly still quite skeptical that they'd actually work out. 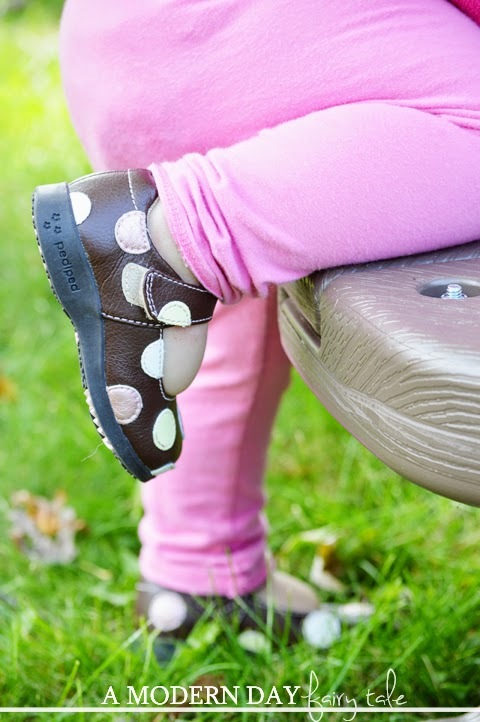 For this review, we received a pair of Pediped Flex in the Giselle- Chocolate Brown style. First of all, how absolutely adorable are these? They are simple and cute...and will go with just about everything! I loved them. But would they fit on my daughter's feet? How genius is this? They truly allow for the perfect fit for those hard to fit babies...like my Finley! She wears them with just the original insole and they work wonderfully! They go on her chubby feet without being too tight...or too long! The perfect fit. And seemingly comfortable too! To be honest, I worried about how she would adjust to shoes having gone barefoot for so long, but after a little practice (an hour or so overall), she had it down and is now walking as naturally in her shoes as she would without. From the style to the fit to the comfort, I truly love EVERYTHING about these shoes. And I'm not the only one. 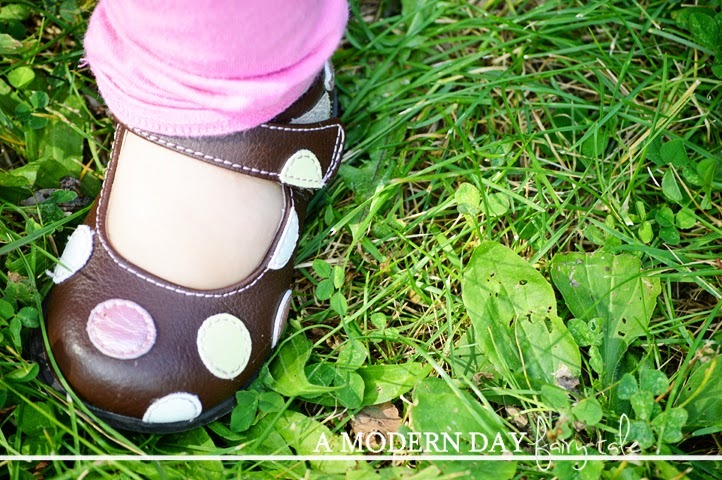 Everywhere we have gone since my daughter started wearing her Pedipeds, we have received comments on them! Everyone LOVES the cute polka dot design and it seems the quality is evident as well. And this is only one of the MANY adorable designs! 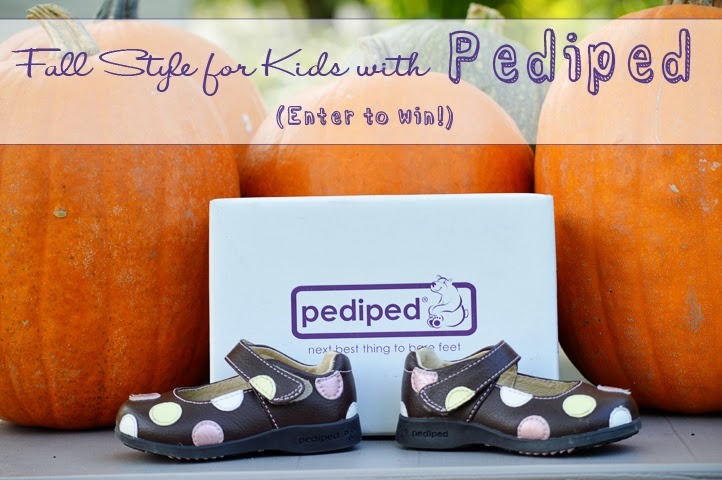 Pediped just released even MORE fun styles as part of their fall collection! From boots to slip ons, there are styles for everyone!! I like the Flex Orion in ocean. one pair I like are the Originals Dakota - Fuchsia. I like the Originals Delaney in Silver! My daughter would love the Starlight shoes in eggplant! Delaney in Lavender is so cute!!! I like the Originals Dakota - Fuchsia. I like Flex Kacie Boot - Chocolate. There are so many adorable shoes!!! I love the Grip N Go shoes, especially the Riddell in teal. I love the Originals Adrian - Chocolate Brown. I love the Originals Dakota in fuschia.